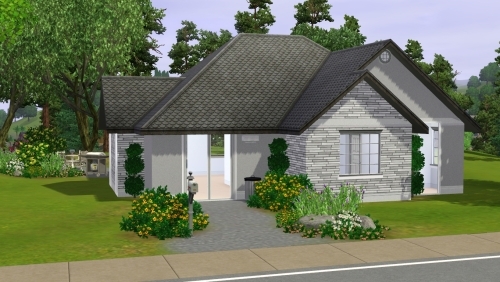 Cozy little, single level home for 1 to 2 sims. This home has an open, simple floor plan with a nice patio/bbq area out back nestled in trees and landscaping. The yard has plenty of growing room for any additions you might want to add later.